I live in Fort Myers FL. I was refer to Dr. Toman In Sept. of 2012 from an Orthopedic doctor in Fort Myers I called and scheduled the appointment and seen Dr. Toman in October for left hip/groin pain. Dr. Toman recently performed surgery on my right knee.Prior to the surgery Dr. Toman evaluated the condition/damage to my right knee. He was very clearly on what I should expect from the surgery. I suffered from arthritis in my knees for a long time. I went through protocols of anti-inflammatory drugs, cortisone injections, and synovial fluid injections. I was thinking that I was ready to do something with better results. I suffered for several months with increasing pain (8-9) in my right hip to the point where it was very painful to walk even with pain medications. I went to see Dr. Toman because of the excellent work he did repairing my wife’s cervical disks. I am a 66 year-old male, fairly active, and had total posterior right hip replacement surgery (in NYC) June 2011. I must admit, I was very happy with the results. How do you measure the greatness of a fanastic surgeon? I guess one way is to determine the quality of life of a patient before and after surgery. Personally, I know my physical ability has been restored to my left shoulder. In addition, my golf game has improved dramatically. I will be 77 years young, come march 25th, before discovering my rotator cuff tear and the pain that followed, I was very active as a senior “BobyBuilder” and hold my share of first place titles in local contest. My family Doctor recommended Dr. Toman and the very first thing he said to me was, I have good news for you, I can fix the problem with your shoulder authoscopically and you can be back to your active sport. 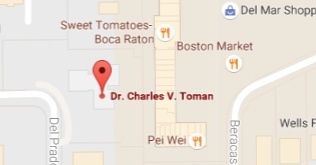 I FIRST CONSULTED WITH DR TOMAN WHEN HIS OFFICE WAS IN PUNTA GORDA. BEFORE I DECIDED TO GO AHEAD WITH A HIP REPLACEMENT, HE MOVED HIS PRACTICE TO SARASOTA. DURING MY PUNTA GORDA MEETINGS WITH HIM, I WAS SO IMPRESSED WITH HIS KNOWLEDGE OF THE “NEW, LESS-INVASIVE PROCEDURE”, I DECIDED TO STAY WITH HIM. 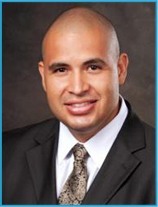 My primary physician recommended Dr. Toman for my rotator cuff surgery. Now, six months after surgery I am happy to say that I have full range of motion. I want to share the remarkable experience I have enjoyed at Florida Orthopedic Specialists under the care of Dr. Charles Toman. I was recommended to Dr. Toman by American Injury Centers.